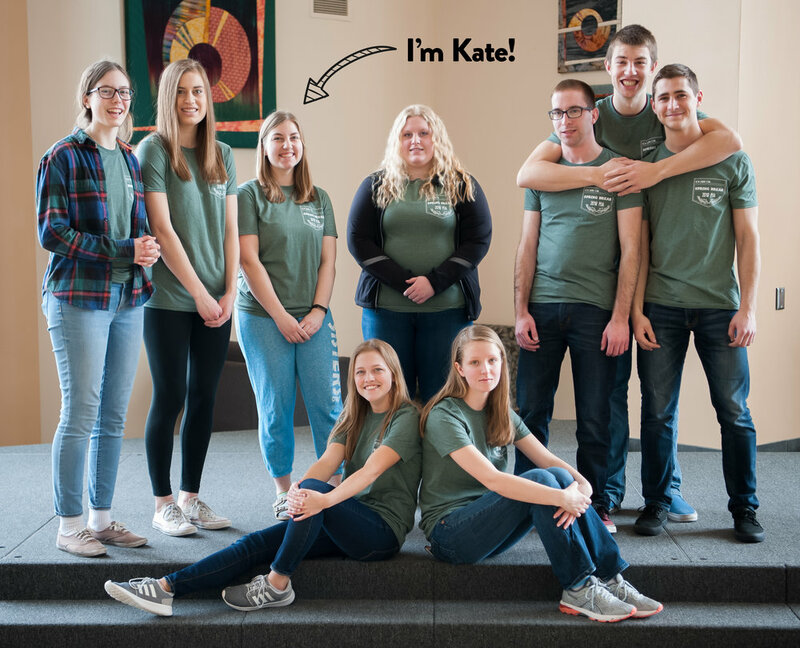 Meet Kate Lodewyk, a sophomore studying Elementary Education with an endorsement in Middle School Education and a minor in the Kuyper Scholars Program. Last year, she got involved with PLIA; this is her story. I first visited Dordt the summer before my senior year of high school. My mom and I met with one of the education professors and took a tour of campus. I was very impressed by the Education department program – this professor answered so many questions I had about being a teacher in general and did not try to pressure me to come to Dordt. Then that October I visited Dordt again. I wanted to see what campus life was like with students on campus. If you stay overnight, a group of students take you around on a tour of all the dorms before praise and worship. For the first hour, I was oddly nervous (normally being in a new place with people I don’t know does not bug me at all). But then after that, God gave me such a peace about being at Dordt. And I knew that was where I needed to be. I knew it was a community where I would grow. How did you hear about PLIA? From many students around campus. Upperclassmen highly recommended the trip, so I decided it was something I wanted to do for my spring break. It stands for Putting Love Into Action. Groups of students at Dordt travel across the country during their spring break to serve ministries in a variety of different sites. Where have you gone with PLIA, and what was that experience like? Last year (my freshman year), I went to Atlanta, Georgia. I had an amazing experience in Atlanta. PLIA allows you to get out of the Midwest and serve in another part of the country. Being able to do something meaningful and impactful during spring break was just the reset that I needed. It reminded me that there are other things in this world besides the day to day homework assignments and finals. Serving gives you a different perspective. My group helped out at a school and a camp for inner city kids. I think the coolest part for me was meeting the people in charge of those organizations. We were able to hear how they were using their lives to serve and we got to see the impact that they made. Are you going on a PLIA trip this year? I am going this year again. (Haven’t found out where quite yet!) I can’t wait to serve in a different place with a different group of people. I built so many solid relationships on PLIA last year. For me, PLIA was a time when I got to know people on a deeper level (as you do when you serve with other people). It’s a meaningful way to spend a spring break, but also was one of my favorite weeks last year. If you can do it, I highly recommend it!